While many people move to a desert area to find relief from their allergies, a desert environment might actually trigger allergies. 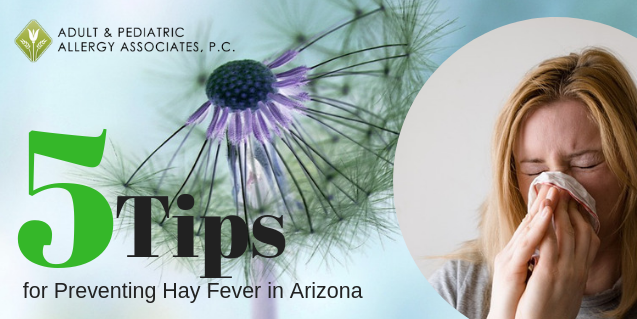 In fact, at least a third of those who live in the Phoenix area experience some level of what is commonly known as “hay fever.” Hay fever means your body is reacting to pollens or mold of some type, and these reactions can take the form of sneezing, watery eyes and nose, congestion or itchiness. 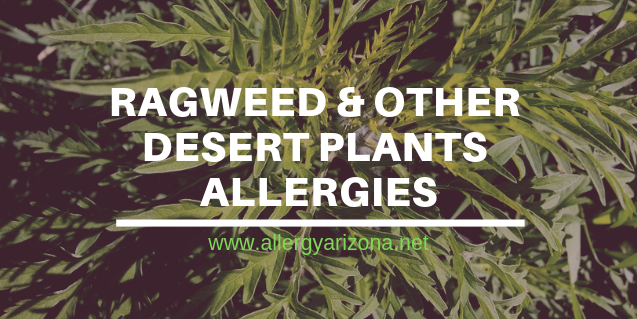 Ragweed is one of the most common allergy-inducing plants across the United States and Phoenix has over a dozen native species of ragweed. Ragweed is a perennial weed (in other words- it will affect allergy sufferers who have problems with it YEAR-ROUND)! 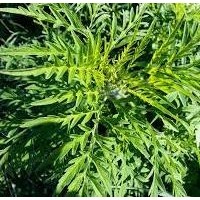 Contact with the ragweed pollen can lead to coughing, wheezing, swollen eyelids, itchy eyes, itchy throat and ears, sneezing, hives and other rashes. African Sumac is a tree which can cause unrelenting sneezing among many people in the area. Feather Palm and Desert Fan Palm—like many palm trees, both the feather palm and the desert fan palm shed an immense amount of pollen which can lead to serious allergy symptoms. Cottonwood tree allergies are not as common as you might think with all the cottony fluff which falls from the trees each year, however those who are allergic to cottonwoods are typically very allergic—and may also be allergic to willows as well. Desert Broom grows in disturbed soil; the cotton-like seed plumes fly away in the wind, causing allergies among many. Arizona Sycamore is a tree which is typically considered a moderate allergen, although some people will react more strongly to the sycamore pollens. Chinese Elm allergies are caused by the pollen which is carried by the wind in the fall months. Chinese elm pollen is considered a moderate allergen. Arizona Ash will typically cause allergic reactions among those who are also sensitive to Olive tree pollen. Arizona Sycamore trees flower between March and June, and are often seen in Arizona parks and streets. Similar to the California Sycamore, the Arizona Sycamore causes allergic reactions among some residents. Hackberry can cause allergic reactions among those who are close in proximity and who have continued exposure. While Hackberry is in the same family as elm (very allergenic), it does not cause the extreme level of allergies among most people. Juniper trees are a common source of allergies due to the pollen they create and those with Juniper allergies are also likely to be allergic to Cedar and Cypress tree pollen. Mesquite is a serious offender in the southwest, producing considerable levels of airborne pollen. Those with Mesquite allergies may suffer from nasal inflammation, nasal congestion, sneezing, scratchy throats, contact dermatitis and even asthma. Bermuda grass, while well-suited to the Arizona desert, is a more significant allergen than most other grasses, causing itchy eyes, runny noses and sneezing. Because many parts of Arizona are dry, receiving little rain, dust is a given. During certain times, especially during our monsoon season (usually June through August),Phoenix area residents experience severe dust storms and dust devils, and they are on the rise. For those with allergies, desert dust is never good news, as it has an effect on respiratory systems, causing coughing, wheezing and watery, itchy eyes. Air pollution can also be a problem, particularly for those who live in the Phoenix metro area, which sits in a valley, allowing the pollutants to just hang around. If you’re suffering from allergies, we can help. Our allergy doctors have helped thousands of patients in Arizona breathe a little easier. You deserve to live a life that is free of allergy attacks. Find an allergy and asthma clinic near you. We serve patients in Phoenix, Scottsdale, Glendale, Avondale, and Anthem. Call today at 602-242-4592, or book an appointment immediately online here! If you find yourself regularly sneezing, tearing up, feeling itchy, and having a stuffy nose, you may be among the 20 million Americans suffering from hay fever which is a nasal allergy. Contrary to what the name suggests, this is of course neither an allergy to hay nor is it likely to trigger a temperature. The medical term for this ailment is allergic rhinitis (more details here). 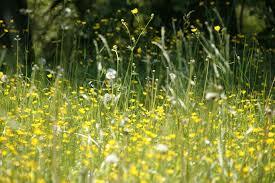 In a nutshell, hay fever is an allergic reaction to an allergen in the environment. When your body comes into contact with a substance that it identifies as an allergen, it triggers a hypersensitive reaction to fight off the allergen. Common allergens include dust mites, mold spores, pollen, and dander among others. Considering how much of a nuisance hay fever can be, it is always a good idea to try to nip it in the bud before it sets in. By employing these five tips for preventing hay fever, you will give your body the best chance of getting through the day sneeze-free. What your body considers to be an allergen is unique to you. This same allergen is unlikely to elicit the same hypersensitive reaction in someone else. So, the first step is to identify what exactly triggers the response in you. For example, you may be allergic to one kind of pollen and not another. A quick visit to a certified allergy specialist is the best place to start. They have the right kind of allergy testing that will be able to help you to pinpoint the exact cause of your hay fever. After you have identified the allergen, the next step is to rid your home of the allergen. For example, if you are allergic to dust mites, you can use mite proof bedding. If you are allergic to animal fur, it may be advisable to have pets stay out of the house altogether. During high pollen seasons, keep your windows shut and always air condition your house. Keep your kitchen cabinets dry to prevent mold. It is also recommended to avoid drying clothes outside during high pollen seasons and to avoid bringing fresh flowers into the house. This one can be somewhat tough at times, but if possible, you should try to avoid being outside during high pollen seasons. Ideally, you could have a friend or neighbor take care of your outdoor tasks. If you do have to go out, wearing sunglasses over your eyes, and a light scarf over your mouth and nose will keep pollen from entering your body. When you do return to your home, you should take a shower to get rid of any pollen you might have carried in on your skin that may trigger an overnight attack. Eat healthy, exercise (always good advice!) and consult your physician for immune boosting medications and supplements. Your doctor may refer you to a specialist. A clinic like ours employs doctors who are specially trained to look at your unique symptoms and diagnose the underlying problems which sometimes involve more than just over the counter medications, or allergy tablets. As an example, we often see that our patients are better, and suffer less from allergies by getting immunotherapy injections. Rubbing a small amount of petroleum jelly inside of your nostrils or using nasal sprays that create a coating in your nostrils may prevent pollen from getting past your nostrils. This method is not scientifically proven but is employed worldwide, and many people swear by it. 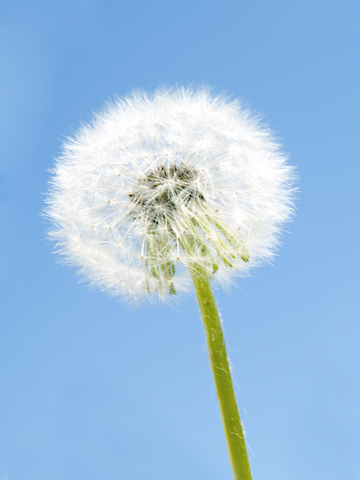 The symptoms of hay fever can interfere with your daily life. By implementing these five tips, you should be able to reduce the pain and disruption next time around. If you are interested in getting tested to find out which allergens are causing you problems; or learning more about our allergy testing and treatment services, please call 602-242-4592 for an appointment at one of our 5 Phoenix Metro locations. The team at Adult & Pediatric Allergy Associates, P.C. is eager to help you breathe easier and live life more fully again! Allergic rhinitis (A.R) is more commonly referred to as “hay fever” or “allergies.” The medical term describes a cluster of symptoms that affect the nose, causing inflammation and an immune system reaction. Exposure to irritants or allergens during the Arizona allergy season can cause extreme discomfort and may also exacerbate other respiratory issues, making diagnosis and treatment vital. Once treated, most people find that recovery is rapid, and that they can immediately return to normal activities. The problem is that most people do not go to a specialist right away, so please read so you can avoid this! Hayfever (allergic rhinitis). can be caused by any irritant that triggers the immune system. 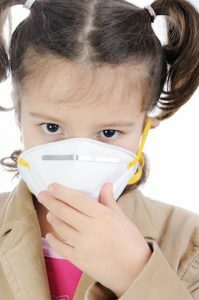 Dust, animal dander, mold, pollen, or chemical exposure, are all possible instigators, with pollen being the most common. When pollen is the issue, we often refer to the condition as “hay fever.” Grasses, weeds, desert flowers and trees flood the air with seeds and pollehttp://allergyarizona.net/pollen-count-and-allergic-reactions-treatments-from-phoenix-allergist/n throughout the warm months, making hot, dry Arizona allergy season conditions especially miserable for hay fever sufferers. Great strides can be made to address allergies via simple lifestyle changes. Patients often find tremendous relief from installing air filters that remove excess dust, debris, dust mites, and pet dander from the air. This is particularly important when they live near high traffic areas, construction sites, or open fields. If allergies are severe, it may be smart to avoid opening windows since dust tends to blow around at a higher rate. Adding humidity to the air will help contaminants fall to the ground so they can’t irritate sensitive nasal passages and lungs. Mold: If mold is a factor in symptoms, patients should have a heating and cooling professional visit to inspect for growth in vents and air conditioning units. Food: Food allergies can compound other allergies, so if you see reactions after eating foods containing dairy, nuts, or other common allergens, you should make dietary alterations to reduce inflammation and reactivity in the body, and make an appointment immediately at one of our allergy clinics! Pet Dander: It may be impossible to give up pets, so it is important to try other measures that dramatically reduce exposure to dander. Using washable slip covers on furniture is recommended. Frequent vacuuming with a cleaner designed to pick up pet hair is ideal. Strategically placed air filters can greatly minimize the presence of allergens in rooms frequented by Fido or Fluffy. Nasal Wash: The popularity of nasal washes is directly due to their success in helping allergy sufferers. The wash serves to both soothe nasal passages and rinse away debris. As this debris is reduced, compounding of congestion as blocked passages collect allergens is resolved, providing almost immediate comfort. Special pots for this purpose have been around for centuries and are known as “neti pots.” More modern versions can be found in most pharmacies. There’s a good chance that if you’ve read this far, you’ve already tried a number of lifestyle solutions without success. This indicates that it’s time to get professional help at one of our clinics. Something more complex may be causing your allergies and we do a number of allergy tests that can help us to find out what is triggering your issues. Our doctors can even test for specific allergens – and will prescribe targeted treatments that work MUCH better than home, or over-the-counter remedies. 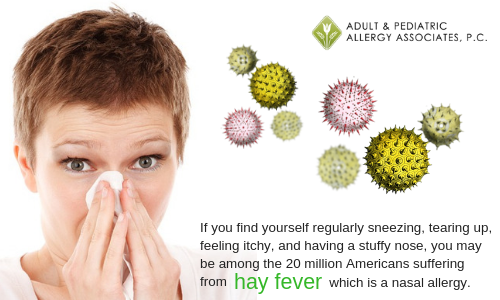 Adult & Pediatric Allergy Associates can help! No matter what course you and your physician choose, A.R. is highly responsive to treatment. Most of these are noninvasive, and allow you to live uninterrupted with vastly improved comfort and energy levels. There is no reason to delay. Call us now at 602-242-4592 and banish your allergy symptoms today!